Just Policy Blog: Gimme a Tax Break! This restriction is further documented by the feds in an overview chart posted on irs.gov. Mr. Smith said he’s had to explain this to several clients much to their dismay and disappointment because it just doesn’t seem fair. Once a person – if afforded a fighting chance – has the opportunity to successfully re-enter their community, find housing, gainfully enroll in a college or university AND afford tuition, it only seems fair that they be eligible to receive a tax deduction. 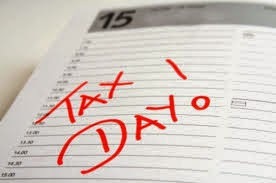 As you go back to celebrating your refunds, pouting about having to pay the government back, or grumble about the work you have ahead of you today before midnight, mark your calendars for advocacy on behalf of those who, despite trying to change their life, can’t catch a break – not even a tax break. Zerline is JPI’s director of communications.